Please help us to continue to help animals by making a pledge today. Choose one of the pledge levels below and help make a significant change in your community. This sponsorship covers all costs for one dog. Please note dogs name when using Paypal. This sponsorship covers the spay/neuter for 1 feral cat. This sponsorship is a donation of your choice. Any amount is helpful to our animals. 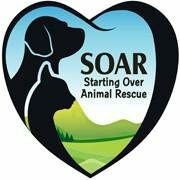 Support Starting Animal Rescue today! Register at any Redners for a store card. Use your card whenever you shop at Redners. We have Tee shirts and Hoodies for sale to help benefit the organization. Please visit: Stitchin Witch Embroidery Company.